Remarks made on Thursday, Nov. 29 reinforced NASA’s assertion it was returning to the Moon. The agency is now working with commercial partners in an effort to produce a lunar transport “market” one designed to further enable scientific exploration of our closest celestial neighbor. 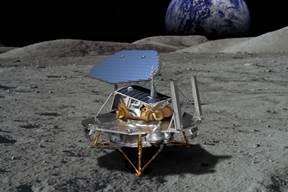 During a presentation held on Thursday, Nov. 29 at the agency’s headquarters located in Washington D.C., NASA Administrator Jim Bridenstine unveiled the Commercial Lunar Payload Services Program (CLPS). This new plan hopes to allow for a diverse array of customers send their payloads to the Moon. Under this architecture, NASA would become one “among many” customers. Much like NASA’s Commercial Resupply Services and Commercial Crew Program, NASA wouldn’t own these vehicles, it would purchase their services from the firms that produced them. CLPS is a multi-award contract worth $2.6 billion over the course of its 10 year performance period. The nine companies currently eligible to bid on CLPS are: Astrobotic Technology Inc., Deep Space Systems, Draper, Firefly Aerospace Inc., Intuitive Machines LLC., Lockheed Martin Space, Masten Space Systems Inc., Moon Express and Orbit Beyond. Masten’s XL-1 lander has two payload bays with the capacity of delivering an estimated 220 lbs (100 kilograms) of mass to the lunar surface. Of these nine companies, only Lockheed Martin has experience in terms of producing spacecraft that have flown in space. Some of these have already made successful voyages to the Moon and Mars. 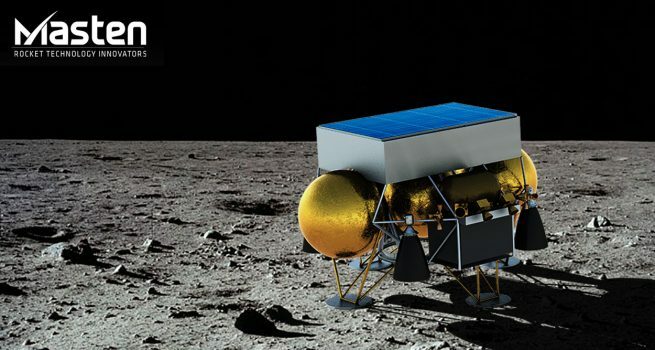 Lockheed Martin’s lander concept has been dubbed the McCandless Lunar Lander. Although not tied to the aerospace giant’s human-rated spacecraft, the company noted its experience with developing vehicles similar to this new lander. Lockheed Martin’s lander was named in honor of NASA astronaut Bruce McCandless II who flew on STS-41B and STS-31. McCandless was the first person to conduct an untethered spacewalk (on STS-41B). He passed away on December 21, 2017 at the age of 80. During Thursday’s presentation, Bridenstine was joined by Thomas Zurbuchen, associate administrator for NASA’s Science Mission Directorate, astronaut Stan Love, Andrea Mosie (televised from Johnson Space Center), Apollo sample laboratory manager and Barbara Cohen (televised from Goddard Space Flight Center), associate project scientist for Lunar Reconnaissance Orbiter. The theme of encouraging interest in Science Technology Engineering and Math (STEM) was strongly highlighted during Thursday’s announcement with the FIRST Robotics students and other educational groups incorporated into the program. Those involved with CLPS underlined the spirit of cooperation required for complex programs such as this one to be successful. No man, or space company, is an island and a number of subcontractors will work with each company to help achieve their goals for Moon Express, these include Sierra Nevada Corporation, Paragon Space Development Corporation, Odyssey Space Research, LLC and NanoRacks, LLC, Houston. NASA hopes that the first payloads flown under CLPS could be on their way as early as next year (2019). Tagged: Astrobotic CLPS Commercial Lunar Payload Services Program Deep Space Systems Draper Firefly Aerospace Inc. Intuitive Machines LLC. Jim Bridenstine Lead Stories Masten Space Systems Moon Express NASA Orbit Beyond Washington D.C.
That sounds useful and doable. Develop super propellant efficient solar electric space propulsion systems with a 3,000 Isp to 14,000+ Isp to efficiently haul cargo around in Cislunar space. Develop nuclear thermal powered 900+ Isp rocket engines for large Lunar and asteroid Landers. Mine and colonize the Moon. Build space based solar power systems with Lunar and asteroid resources and beam power down to our CO2 polluted and energy hungry Earth. Or instead babble for eight more years about the glories of large fleets of huge, energy weak, propellant inefficient, 380 Isp, and CO2 polluting fossil fueled Martian starship space bombers. This is just fantastic news! A wide array and approach from many companies for propulsion services. The next 5 years is going to be very exciting. I note the absences of SpaceX and Boeing from the consortium. They must be on the sh_t list until Bridenstine is done with Elon Musk in the woodshed, whipping him for daring to smoke pot in public even though it’s legal. NASA can no longer claim to be running a cutting edge space exploration agency… they’ve degenerated to a dysfuntional bloated bureaucracy with no clear sense of direction or how to get there even if they knew where they were going and why. Well until I see some details, I’ll remain on the fence. Initially it appears that the funds are being spread too thin and the timeline too long.